Windsor, Ontario incorporated as a small village in 1854. The University of Windsor was founded just three years later. Today, Windsor is a major Canadian city and the school is a large, public university counting more than 15,000 students in 255 undergraduate and graduate degree programs. Leddy Library at the University of Windsor. With 160 years of history, the university’s library has accumulated a wealth of resources about the history of Canada in general and the region in particular. That’s why I’m pleased to announce an opportunity for a Wikipedia editor to gain remote access to those materials for use in improving articles about the history of southwestern Ontario. The Wikipedia Visiting Scholar will receive a login to access the library’s full suite of digital resources, including databases, ebooks, and digitized collections. Something we love about the Visiting Scholars program is the way it empowers passionate people to fill content gaps and improve public knowledge about topics otherwise underrepresented on Wikipedia. Wikipedia has developed an incredible amount of high-quality content on many subjects, but it’s much stronger in some areas than others. As the product of volunteers, the content in many ways reflects the interests and experiences of the predominantly white, male, English-speaking people who write it. One of the library’s strengths that the Visiting Scholar could take advantage of is the numerous materials it has about the region’s First Nations people. In particular, the university sits on the Three Fires Confederacy of First Nations, comprised of the Ojibway, the Odawa, and the Potawatomie. Visiting Scholars at the University of Windsor is coordinated through the Centre for Digital Scholarship, which brings together the digital services offered by the Leddy Library to support its students, faculty, and staff. It develops and curates research and archival tools and is also an active publisher of academic journals, monographs, and conference proceedings. If you’re a Wikipedian with an interest in the history of southwestern Ontario, or if you just want to learn more about being a Visiting Scholar, visit the Visiting Scholars section of our website here. 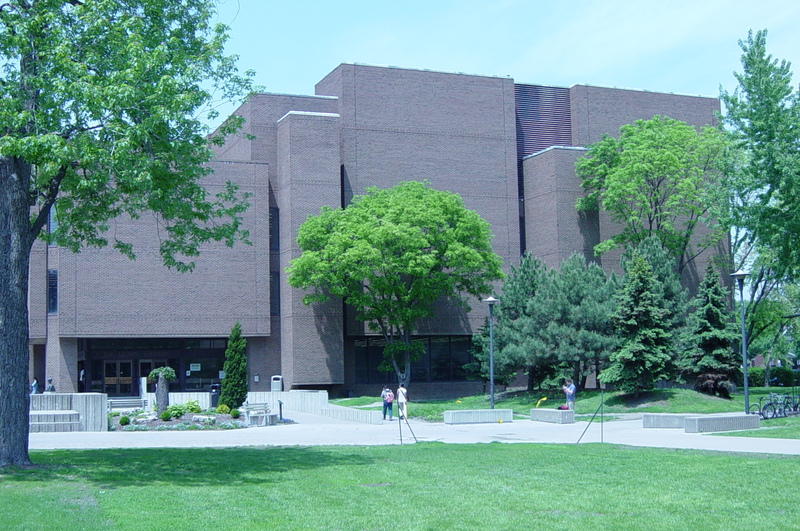 Image: File:University of Windsor campus on August 2006.jpg, Mikerussell, GNU Free Documentation, via Wikimedia Commons.